Ready to lose your gut and get rid of love handles once and for all? Our experts offer up 101 easy, doable (and yes, even fun) ways to shed fat—without cutting out fries or running stairs from now until doomsday. It’s pretty common for men to pack some extra poundage around their midsection. In fact, the average man is about 24 pounds heavier today than men in 1960, according to stats from The State of Obesity—and the figures are rising. We’ve seen slimmer days, but don’t think this is a grim sentence, dooming you to eternal chubbiness. There are dozens, if not hundreds, of ways for you to shed fat. The fact of the matter is battling the bulge takes different strategies and approaches depending on your genetics, your metabolism, your will power, etc. What works for your buddy won’t necessarily be your be-all and end-all solution. To simplify things, we compiled 101 tips to help rev your metabolism, lose your love handles, and unsheathe your abs. You'll have to do some trial and error to deduce which ones work best for you; hey, losing weight is hard work. But if you put in the work (a.k.a. incorporate a few of these tips each week), you’ll be well on your way to a smaller waistline. Who said your glory days were in the past? Avoid foods with "high-fructose corn syrup" in the ingredients list. Since 1971, consumption of this sugar substitute—which is used to sweeten soda, commercial baked goods, and even condiments—has increased more than 350% in the U.S., paralleling the rise in obesity. Do every exercise standing instead of sitting. "You'll expend up to 30% more calories," says Joe Stankowski, C.P.T. The solution for the bench press? Dips. When you lift, perform supersets in which you alternate between sets of lower body exercises and upper body exercises. That way, your lower body rests while your upper body is working. "This allows you to work your muscles maximally with very little downtime between sets for a faster, more effective workout," says Craig Ballantyne, C.S.C.S. When you're using the elliptical trainer, try letting go of the handles and closing your eyes. (Be careful!) Without the visual feedback, your core muscles will have to work harder to keep you balanced, burning more calories. 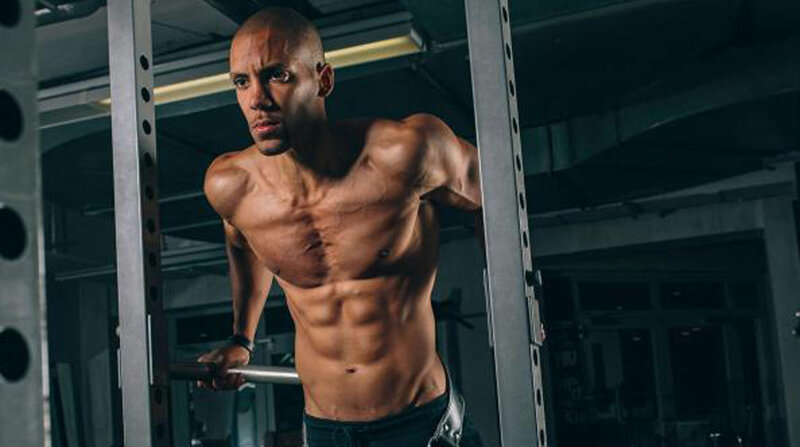 fat loss, says Cameron McGarr, C.S.C.S. Challenge yourself to run farther in the same amount of time—even if it's just one-tenth of a mile—every single workout. This ensures you're always burning more calories from one workout to the next.